Re: [GB] Pearl 40% R1 Complete - www.pearlboards.com - Thank you! any chance you'll be restocking any pcb's? Hey fella. PCB's sold out today 5/10/18. This is due to the acrylic Pearl case, made for Ham and Tennis by JordiJolimon, trending on reddit and a lot of people buying them out. So here's a plan. My PCB supplier requires a minimum order quantity of at least 50 PCB's, which would cost me over 1k to front the cash out of pocket. So I wont be doing that. Jordijolimon from stratakb might run a Group buy for his acrylic Pearl case. If he does, I will be supplying PCB's for his buy and you can get one along with the case. If this does happen, I will buy some extra PCB's to stock for my existing customers as well. Stay tuned my friends, I'll be working on it for you all. I loved the original case design too, btw. Just didn't have funds at the time. Thank you, I reached out to Jordi as well and he said he's looking into an IC for it, I guess maybe he is coordinating with you? Hope this will be my chance to own a Miami Pearl. Heck, I knew it would start to sell but didn't think it would sell out *that* quickly. I had a PCB in my cart and didn't bother to place the order! I would probably be in for a standalone PCB group buy (I would probably end up designing my own case) or a Jolimon acrylic case group buy. I've persuaded Jordi many times to get on Geekhack but he hasn't lol. The acrylic case for the Pearl wasn't made with my input at all, and that's fine. So we haven't coordinated at all on that account, but moving forward I told him if he wants cases we need more PCB's, so here's what I know. The current acrylic case you've all seen uses an integrated plate. Meaning you cant reuse your already built Pearl core in the acrylic case. So you would need to buy a standalone PCB for it. Jordi did say he is working on an acrylic case that can use the existing core, so there's that too. I'll drop updates along as I receive them! I guess I did have an account after all, just never used it! lol. 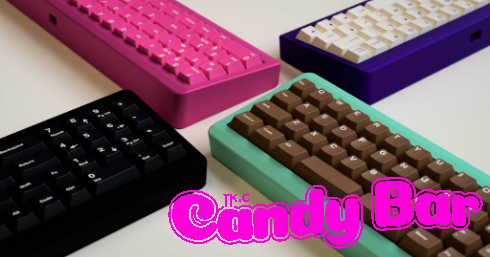 Current plan is to have a store page for acrylic pearls up this weekend on my site and get an IC going for PCBs and Case combos. Currently the acrylic cases I've made use a built in plate but I am working on trying to find a way to make an empty case that can take pre-existing metal or acrylic plates from the R1 buy Koob did. With the IC if it looks like we can get the 50MOQ I'll be working with Koob to essentially run a new GB for Acrylic Cases+PCBs. I'll try to check this thread more often and I'll be sure to post the links here and on r/mk when the page is live this weekend. Looking forward to working some more with ya Koob! Count me in for a case+pcb if that happens. Saw your cases on /r/mk and been hyped ever since. Unfortunately missed the GB for the original pearl. Would definitely join for the case+pcb if the acrylic pearls are available. Is it possible to have an angle on the acrylic cases? Either way, count me in for an acrylic case. It's probably gonna be 2019 before an R2 for Pearl even enter IC phase. Unless something has changed, Koob is working on a 60% now. Hey everyone! Hope you are all splendid. Just checking up on the thread, making sure no craziness has happened in my absence, like Pearls being used as murder weapons and me being blamed for it. You know, the usual! Hey bud! Thanks for asking about a new GB. I started making a 60% since some people wanted to see one! These things take time. I'll push R2 out right after the 60 if it runs! If the 60 doesn't run, I might do the R2 right away! Unlikely though :! Hey Koob, any word on that poly case GB with jolimon? 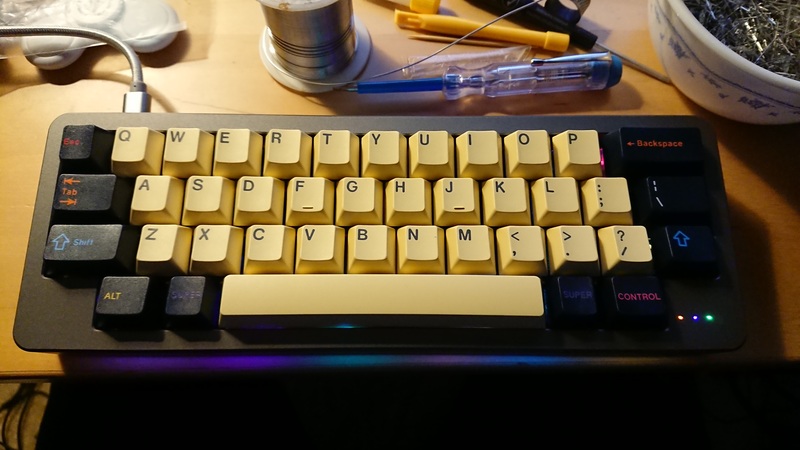 If you remember, I wanted to buy another PCB and a custom plate for my alps layout but then you run out of PCB's, so I'm still waiting for that. Also curious about this. Grabbed a PCB but was holding off on sourcing a case myself since it was mentioned that the acrylic case/pcb GB might be happening. To compile the firmware: Can I use the Github FAQ https://github.com/qmk/qmk_firmware/tree/master/keyboards/pearl and Bash for Windows 10 and check that all the packages are installed or do I need to be running Linux natively? Bricking the PCB: Is it technically possible the brick the Pearl if it goes wrong? Switching between firmwares: Can you switch back to ps2avr from QMK? Built one of my Pearls recently. When I press any key in the top row, every key in the same column is activated. For instance, if I press "u", the output is "ujm". This issue is only present in the top row. I surmise the internal matrix may be the issue, but I don't know how I can access that via Bootmapper, if at all. Thoughts? I'm not using screw-in stabs - just the regular ones that snap in. Nothing was bridged or missing, but I'll double check. But if one of them were bad, wouldn't it manifest as a local issue? Why is every column affected and only when I press the top row keys? I had the same issue, friend of mine fixed it. Will send more info when im on my pc. Are there any plans of doing another run? From having followed the thread during R1 - maybe, but Koob's 60% "Pandora" will probably run first. I asked my friend what it was, this is his response: the usb c connector has 4 tht holes to secure it and the trace for that row comes really close to it. I guess the factory ****ed something up while drilling it and the hole touched the trace for that row and shorted it to gnd. I broke a bit of that hole off with a knife and it worked perfectly after that. I used to have it on the whole top row. Visually, I don't see any shorts. I plan to desolder the two switches around the USB port to see if I can see anything then. well, it looks amazing. But what in the hell are punch lemon switches? I finally got a chance to look into it. That was indeed the problem. On the side of the PCB that faces the plate, there was excess solder on one of the USB port through-hole joints that shorted it to the "q" key and consequently, the entire top row. I had to desolder the "Esc" and "q" switches to reveal it. After scraping the surface with a flathead screwdriver, I retested and the top row behaved normally. Thanks for the tip, quaddepos.